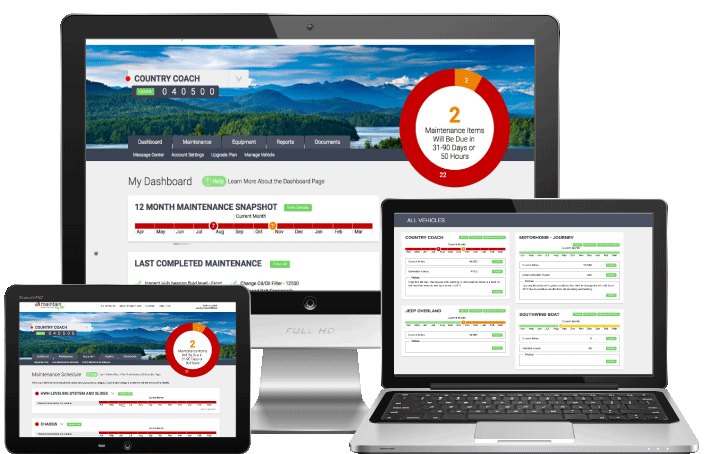 The dashboard is a way for you to quickly see what may need your attention. It organizes past due schedule items and items that are coming do so you can see what’s what. You can get the details for any of the information displayed by drilling down further, which we will cover in a moment. In addition there is a fuel chart that will show you over time your fuel efficiency. The pie chart will always be displayed at the top right of your dash board and provides three key pieces of information. Red – indicates the number of items that are past due and need your attention. Yellow – Indicates items that are coming due in the next 30 days. Red Circles – Indicate the number of items past due in that particular month. 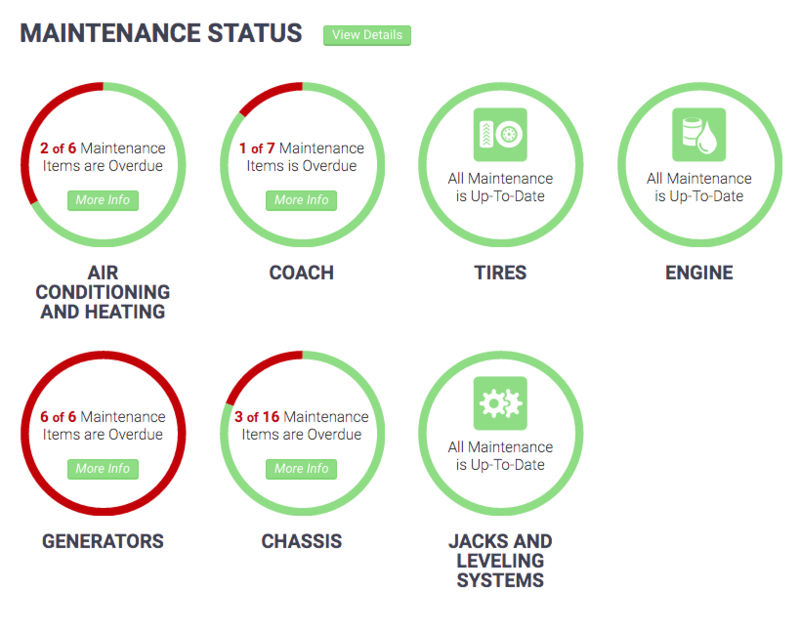 So in the example above there are 3 scheduled maintenance items from LAST November that were not performed and are past due. Orange Circles – indicate the number of items due in the next 31-90 days and will show up in the next two months. By hovering your mouse over the colored circle you can see exactly what the items are. This view will show you how your vehicle is consuming fuel over time. You can use this information to make several adjustments that have an impact on how efficient your vehicle is on fuel usage. The chart will show each fueling you perform, when they occur in the same month you will see the month repeated on the chart as in the example above. You can further view the details by clicking on the “View Details” button which will take you to the Fuel Log.